DOWNLOAD THE OFFICIAL SOUNDTRACK AT GAMESTOP FOR FREE! Final Fantasy XV will officially be released on November 29, 2016. While the excitement for its launch continues to mount, a spinoff game called A King’s Tale: Final Fantasy XV will be included with the main game as bonus for those buying from Gamestop (North America). A King’s Tale looks back at the adventures of King Regis, Noctis’ father, in a fun side-scrolling action brawler set 30 years before the events of Final Fantasy XV. 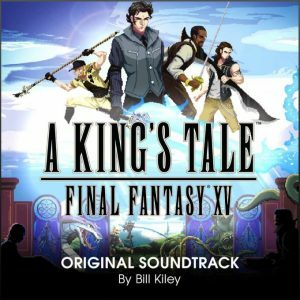 Meanwhile, Gamestop is giving out the official soundtrack by Bill Kiley for A King’s Tale absolutely free! Just go to this link and download the zip file containing the mp3s and enjoy! You can also check out the trailer for A King’s Tale game below!